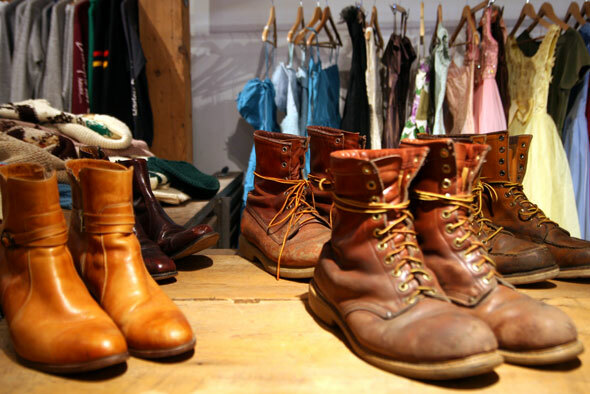 House of Vintage was one of the city's best vintage stores before it closed a few summers ago , but vintage-hounds can rejoice this holiday season as the shop has reopened in Parkdale and is better than ever. 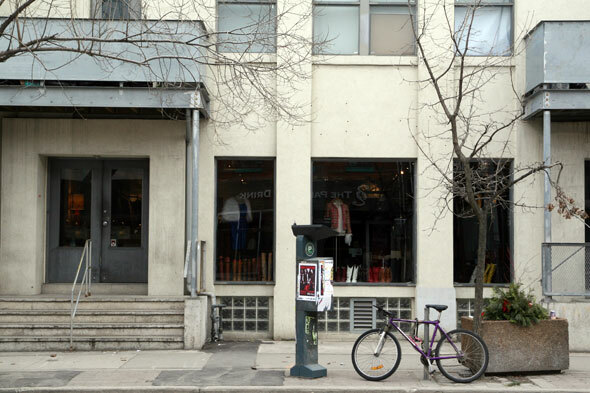 Owner and man-about-town Dennis Adamidis ran the first incarnation of the House of Vintage on Queen Street West for five years (I bought a full Louis FĂŠraud skirt with a charming teal fossil print there). When he felt it was time to throw open the doors once more, Parkdale was a natural choice--he's a resident himself. 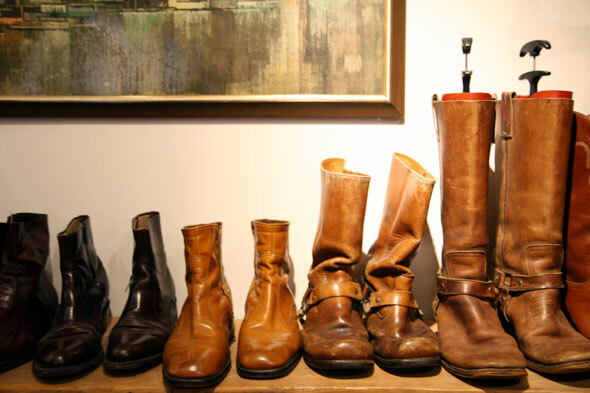 The new space is just as inviting as the old one was--the store has exposed beams and glistening wood floors--all the better to display Adamidis' boots, high-end pieces, and excellent men's section. 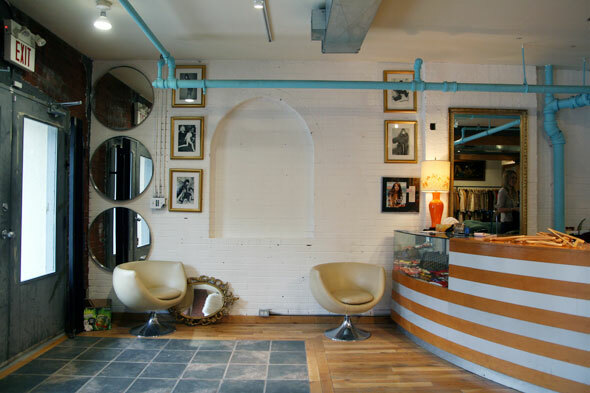 The House of Vintage is a great place to head if you're in the market for a tony showpiece to class up your closet. Among the men's clothes, I found a Burberry trench ($80), a Lacoste sweater ($35), and a pink Dior cardy ($35). 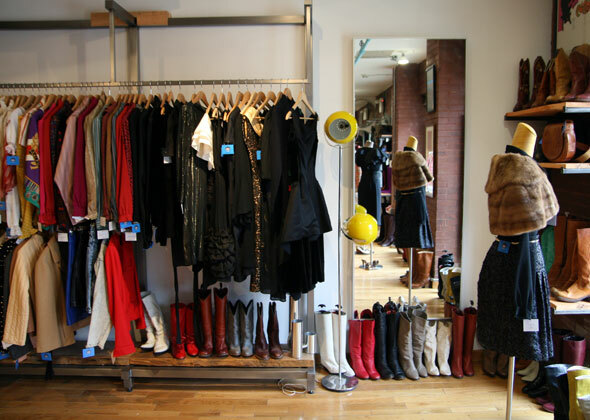 Leather jackets ($60--$150) and sturdy leather boots ($60--$80) abound, too, along with fun vintage sweatshirts ($25--$30) and sweaters like the one-of-a-kind piece with the oh-so-Canadian curling design ($60). But back to the fancy stuff. Adamidis has an excellent eye for the unique, and has a rack stuffed with lovely frocks with interesting details. Take, for example, the forties bronze-pink party-dress ($250) with the very modern sheen to the fabric, or an empire-waisted pink silk dress with a beaded bodice ($250) that playfully treads the line between sixties and seventies. It's not just the dresses that entice--Adamidis carries some ballin' back-in-the-day designers, such as a beaded Bob Mackie bodysuit ($65), gold snakeskin discofied Halston heels, or a very fashion-forward Anne Klein gold-studded black jacket ($200). Even the no-name stuff is stunning--I loved the eighties silver tie-waist jacket ($30), a sixties camel-coloured wool coat ($150) with leopard-print cuffs (and a pink lining! ), and an eighties canary-yellow silk blouse ($45). 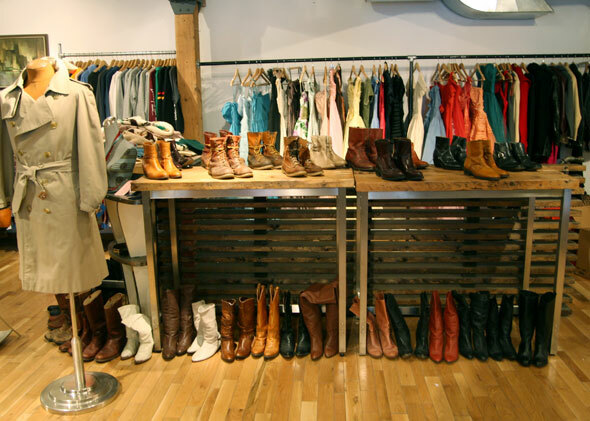 All these pieces would go well with a pair of boots, no? Think seafoam leather calf-high numbers ($60), or an over-the-knee pair in fuschia suede ($60). Welcome back, Dennis. We missed your vintage!